Dr. Bill is using Smore newsletters to spread the word online. Grading Practices - After our faculty meeting on Grading Practices, I met with Ms. Feola, Dr. Shirk, and Mr. Vorhis to review questions that faculty members had regarding the grading practices and to give them an overview of the meeting. I shared the Today's Meet transcript with them and also went over the discussion that we had during that meeting. Dr. Shirk will be here on Thursday to talk about grading practices and to answer your questions. 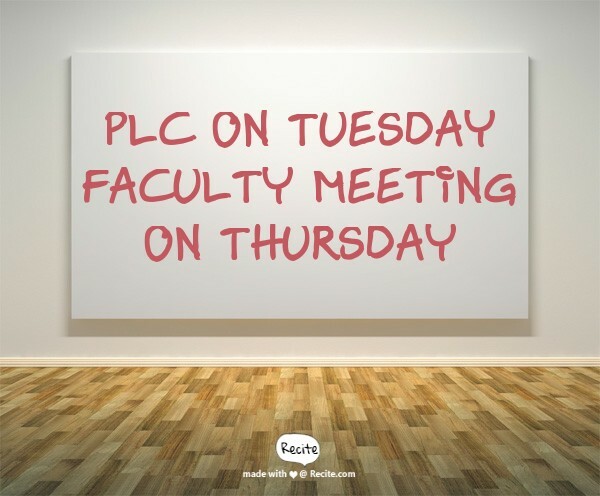 Thursday - Faculty Meeting in the Library 2:20 p.m.
Monday, March 9 - NO SCHOOL - Parent/Teacher Conferences 12:00 p.m. - 8:00 p.m.
Dr. Ziegler will be in the Library during the times below to Listen, Learn, and Lead about how we can make our school better for every student. These meetings are completely VOLUNTARY and Bill has no agenda but to listen and learn. Listen: He will listen to your ideas on how to improve our school for students. Learn: He will learn with you a new learning tool that you are interested in trying or exploring. 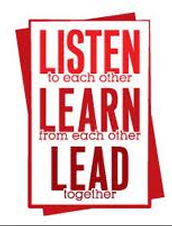 Lead: He will partner with you in leading something that achieves success for every student. Wednesday, March 11 - 2:20-2:53 p.m. 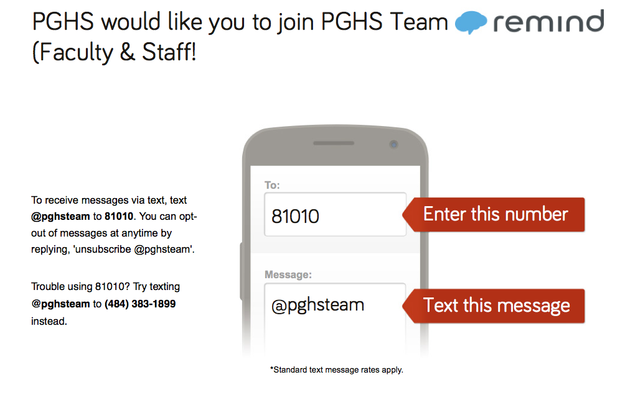 Please come with ideas on how we can help every student find success at PGHS. This meeting is totally voluntary. Spring Musical (The Sound of Music) at 7:30 p.m.
Saturday, March 21 - Spring Musical (The Sound of Music) at 7:30 p.m.
Thursday, April 16 - Sophomore Class Parent meeting for Rings 5:00-8:00 p.m.
Tuesday, April 23 - Rachel's Challenge Assembly - 2 Assemblies during the day - times will be determined later - Parent Night at 7:00 p.m.
Teachers are to take an existing unit of study from a current course (a new unit can be created but is not required) that lends itself to leveraging the new technology and knowledge acquired through professional development and modify an instructional process or student work product used for assessment of learning (it can be a new performance task). The modified unit should be uploaded to Google Drive, per Dr. Ziegler’s instructions, with the modifications highlighted. The unit should be accompanied by a written explanation of how it augments, modifies or redefines the student learning. Teachers should refer to the SAMR model examples for additional details on the website (http://www.pgsd.org/Page/4060). Teachers are also encouraged to consult our instructional coaches for support. This measure for determining the 15 percent (locally defined) portion of the teachers’ overall performance rating is consistent with the expectation set as far back as last April for the first year of the DiLE initiative. It is also consistent with and well supported by the professional development resources in place. The summer renovations will be here before we know it. The summer renovation will require the cleaning out of the 100 & 200 wings along with any classroom/office in the library/cafeteria area. All classrooms in these areas will need to be cleaned out before the last day of school. 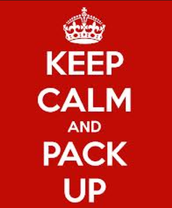 Now is a good time to begin purging and packing. As we get closer to this date, it may be wise to remove your personal belongings from your classroom. 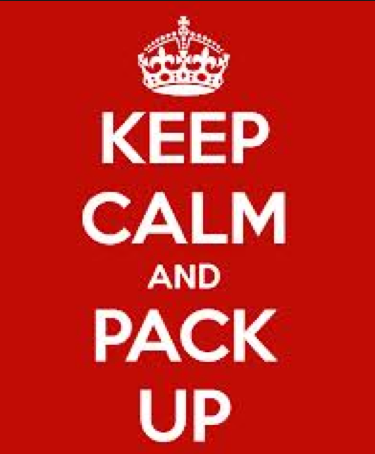 If you want to start packing now, we will have boxes available for you shortly. These areas will be renovated over the summer of 2015. The SS/Science wing will not be renovated until the summer of 2016. 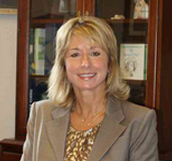 PVAAS Meetings - Dr. Ziegler will be arranging meetings with PLC's in February/March to review PVAAS data. Keystone Teachers have received their PVAAS data. In March, all Keystone teachers will receive an email that begins the PVAAS verification process. Teacher Web Pages - It is expected that teacher web pages will be kept up to date and current. Please remove any old pages. If you are using Schoology or Powerschool, you may just include the template that Dr. Ziegler sent out earlier this week. Standing at Your Door - It is important that teachers are standing outside their classroom doors in between the exchange of classes. Please use this time to supervise the hallways, to welcome students to your class, and to build relationships with students as they enter your room. Please be advised that to date we have utilized three (3) snow emergency days. According to the Board of School Directors approved school calendar, school will be in session for students and staff through Friday, June 12, 2015. School will be in session for half days on June 10, 11 and 12. Should we experience another (4th) snow/emergency day, I will recommend that the Board of School Directors pardon the 181st student day in order to end the year on June 12th for students and June 15th for staff. The currently approved school calendar indicates that additional snow emergency days will be utilized in the following order: April 6th, April 1st, April 2nd, June 15th, June 16th, June 17th, June 18th, June 19th. 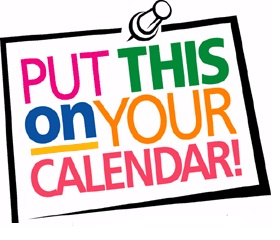 Please note that a date for high school graduation is determined by the Board of School Directors in April (after the expiration of the possibility of additional snow/emergency days). Thank you for your support and patience during this challenging winter. We understand how frustrating school closings and late openings can be for our children and their families. However, the safety of our students and staff is of paramount importance. We look forward to a spring where our students can continue to grow and achieve.